WEE Project is celebrating its achievements and results which is considered as a new outcome of the fruitful and constructive cooperation that has been extended for decades between the Italian & Egyptian institutions. In 22nd January 2019 at the Intercontinental Cairo Semiramis Hotel, WEE Project Final Seminar will be held at 09:30 am. The objective of WEE final Seminar is to share and present the project’s achievements, its impact and lessons learnt. 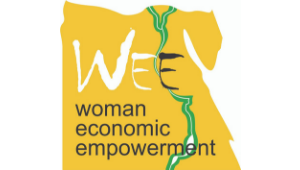 The IEDS WEE project is an international development cooperation initiative to improve women economic empowerment in Egypt, financed by the II Phase of the Italian Egyptian Debt Swap, started on November 2014 and achieved on December 2017, for a total duration of 37 months. The project aimed at improving the social and economic status of poor rural women in 4 Egyptian governorates: Aswan, Asyout, Fayoum and Souhag, by triggering and sustaining women’s capacities at different level: from literacy and basic education, up to individual business management of micro enterprises, involving in total 5.472 direct beneficiaries (literacy, awareness, community mobilization, individual profiling, baseline, business and technical training activities, etc.) on a wide territory (Aswan targeted villages were 850 Km far from Cairo). 1.242 individual projects have been financed (Handicraft, services, trading, animal production, tree nursery, etc.) “in kind”, through key equipment. Despite of several implementation constraints, the initiative has achieved and sometime overcome the expected results. WEE Final Seminar, on 22nd January 2019, will be attended by H.E. Dr. Ezz Al-Din Abu Steit, Minister of Agriculture and Land Reclamation, H.E. Dr. Sahar Nasr, Minister of Investments and International Cooperation, H.E. Dr. Giampaolo Cantini, Italian Ambassador in Egypt, H.E. Dr. Mona Mehrez, Deputy Minister of Agriculture and Land Reclamation, Maya Morsy, President of Egypt’s National Council for Woman, Dr. Felice Longobardi, Director of AICS – Cairo, Dr. Biagio Di Terlizzi, Deputy Director – CIHEAM Bari, Dr. Ali Hozayen, National Project Coordinator - Chairman of EACDP, Dr. Mouhamad Sleiman, Chairman of ARC and CIHEAM Delegate in Egypt. WEE project is implemented by CIHEAM Bari jointly with the Executive Agency for Development Comprehensive Projects – EADCP and funded by the Italian – Egyptian Debt Swap Programme and co-financed by the Ministry of Agriculture and Land Reclamation.